Click our coupon link below, add the C990 to your cart and a $30 discount will automatically appear in your shopping cart! Add that to the fact the C990 has a better build quality than the competitor’s treadmills in its price range and it is clear why we have chosen the C990 as our best buy for under $1000. Overall, the C990 is another quality machine from NordicTrack and is cost-effective for someone who is easing into regular exercise. The C990 is a steal for $999 and is our #2 best buy for treadmills under $1000. Walkers and light joggers will get the best use from the C990. 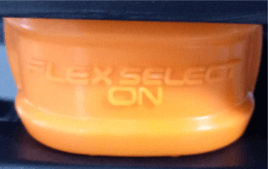 The deck comes with FlexSelect™ cushioning, which allows the user to change the deck from a more flexible surface to one that has similar resistance to a regular road. With a weight capacity of 300 lbs and a strong frame, it is ideal for those who want to begin exercising in the comfort of their own home. If the user is over 300 lbs, the Sole F63 is rated for up to 325 lbs and the ProForm Power 995i is rated for up to 350 lbs, making these better choices for heavier users. While the frame and deck are sturdy even when running, it is not the most cushioned deck to run on over an extended period of time even with the FlexSelect™ cushioning; especially if you have been struggling with an injury. 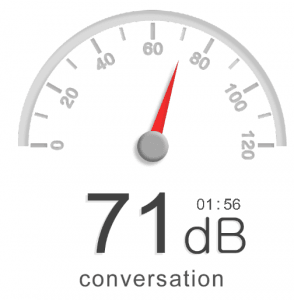 One of our testers had been previously injured and found the deck uncomfortable after 20 minutes of jogging. This tester needs a treadmill with noticeably more cushion. If you find yourself in a similar situation, you might want to consider purchasing a more expensive treadmill with better cushioning. On the positive side, you'll be better conditioned for outdoor running after training on the C990. If you are going at a walking/light jogging pace, the cushioning is enough to ensure comfort for most standard users’ workouts. The C990 had the best build quality out of the top competing brands in its price range. 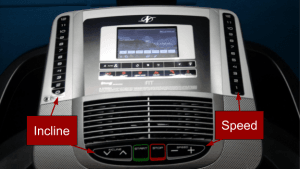 From its low-profile motor cover to the console, this treadmill is sturdy and ready for daily use. The C990 side rails are sturdier than the F63 and Horizon Adventure 3, though users will have to adjust to the way the side rails slant. Its hand rails are 1” longer than both the Adventure 3 and F63 and are easier to wipe clean. Entertainment quality is high with plenty of features. Even if users choose not to get an iFit subscription (which unlocks even more features), there are many things the C990 offers for entertainment. It also has two great speakers, which easily out-perform all other treadmills in its price range. From music to podcasts, the sound quality is clear and captures tonal ranges even at the higher sound levels, unlike the F63 and Adventure 3. 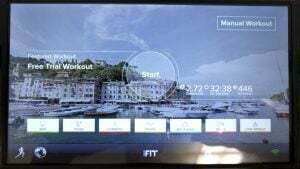 In addition, the console touchscreen comes with the ability to connect to wi-fi so you can access all your favorite websites while you exercise. Electrical Requirements: 120-volt circuit, capable of 15 amps or more. Motor Size - The C990 has a 3.0 CHP motor. Similarly priced, the Sole F63 also has a 3.0 CHP motor; but, the Horizon Adventure 3 only has a 2.5 CHP motor. One of the positives with a smaller motor is the C990 runs quieter than other treadmills in its price range while still having enough power to give a runner a workout. The motor is also strong enough to smoothly transition to different incline levels and speeds with no indication of stress. If you run frequently, we would suggest you select a treadmill with a larger motor to keep up with your needs. Running Area - This treadmill has a better gripping tread than the Adventure 3, though the F63 was fairly comparable. 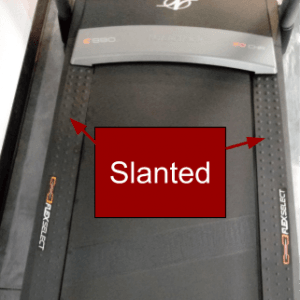 Unfortunately, the belt floats slightly higher above the deck than most other treadmills and flares upward on the sides. 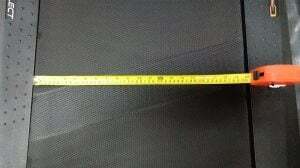 It’s also more narrow than advertised and was only 19.75 inches. Another potential issues with the C990 are the side rails. 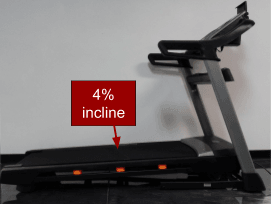 While the sides feel sturdy when standing on them, they slant inward toward the treadmill belt. This could cause problems if your foot gets caught by the belt when you try to stand on the sides, as the C990 belt flares up at the edges. Space / Footprint - When the C990 is set up for use, it has a width of 35.75”, is 78.3” in length and is 56.4” high. With the adjustable tablet holder, that height comes to 61” high. The C990 is 4 inches shorter in length than the F63. It’s also very lightweight and easy to move around. Definitely something you could “put away” in a closet or something after each use. Noise Level - In regards to sound, the C990 is comparable to other treadmills, though its fan runs louder than the fans in the F63. 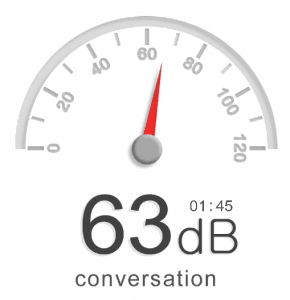 The C990’s single fan puts out more of a breeze and is adjustable, so we felt like that made up for a bit of extra noisiness. Max Speed - The C990 max speed caps out at 12 MPH. 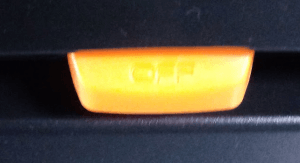 There are speed adjustment buttons along the side of the console as well as at the base, so you can easily slow down if you are done with your end-of-run sprint. You can either change you speed by selecting the number you want to adjust to or go up by 0.1 increments by using the base adjustment buttons. 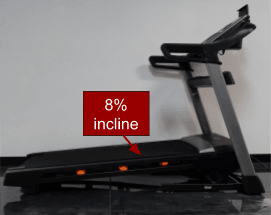 Incline/Decline - You can get up to a 12 percent incline with the C990, which is 3 percent less than you can get with the Sole F63 (15 percent incline). 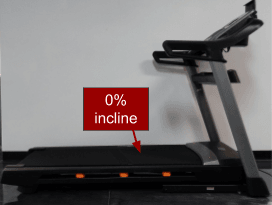 You can change the incline level by 0.5 increments. As for the ability to decline, none of the treadmills in the C990 price range decline. So if you want to add that feature to your workouts, you’ll need to look at treadmills in a higher price range. Workout Apps - NordicTrack is known for their high entertainment value and sturdy machines. The C990 is no exception, as it is equipped with 32 different workout programs, as well as the option to use iFit. Below are all the workouts you can use on the C990 without an iFit subscription. From the starting screen, you can select what kind of workout you want to try, from either a manual workout to testing a featured workout that will take you somewhere new to run using Google Maps. Selecting the running figure from the main menu will bring you to the main program screen. From here you can navigate the different programs based on where you want to focus. Heart Rate Program Tailor your heart rate training to your preferences and ability. There are 8 different programs to choose from with a variety of levels to select. Intensity Programs If you are looking for a more HIIT-like workout, feel free to pick any of these 8 programs. Incline Programs Work some hill training into your running by using one of these 8 programs. Speed Programs If you want to focus purely on speed, you will have 8 excellent programs to choose from. Web-Enabled, 7” Touchscreen - The touch screen’s quality is comparable to the more expensive models like the 1750 and x11i, just on a smaller scale. It is sensitive to even the lightest of touches, which makes for easy navigation. It is also able to sync up to your wireless network so you can hop online while working on your fitness. Other screens in the under $1000 price range are also display-only with no touch screen component, like the F63’s 6.5” blue LCD and the Adventure 3’s 5.75” yellow-green LCD. So not only are the competitor screens smaller but they have less functionality than the C990. Speakers - If you want a pair of powerful speakers on your treadmill for a low cost, the C990 is the machine for you. For only being 2 inches in diameter, these speakers put out more sound than the Sole F63 and also a better quality of sound. 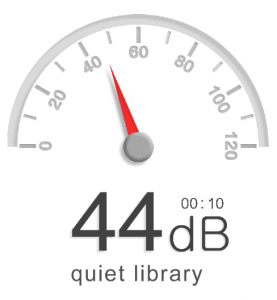 However, at full volume the speakers have poor sound quality. You can plug your device into the console to project music from the treadmills speakers. 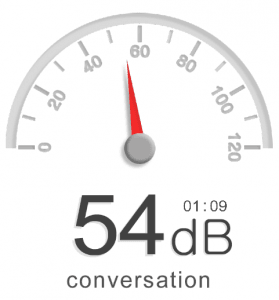 The volume can be controlled with your device or the volume controls on the console. Or just skip all of it and use the console’s wi-fi connectivity to access music from iFit. Workout Fans - The fact that there is only one fan is a bit of a demerit for the C990. While the fan has an autobreeze function (where fan speed matched workout intensity), in the end, there is only one fan so it is hard to get cool. However, unlike other treadmills in its price range, it does generate enough of a breeze to get you cool if you are walking or jogging. The fans have to be set on one of the top 2 speed levels (with 5 levels total) to cool you when you’re working up a sweat, but at least they can cool you, unlike the F63 where you can’t feel a thing. Though if you are too far back from the console, the fixed position of the fan can keep it from cooling you, as it is pitched to hit someone taller than 5’7” if you workout mid-treadmill belt. Bluetooth Heart Rate Monitor - To get the most accurate calorie burn and do some heart rate zone training, the C990 comes with an adjustable heart rate monitor. The monitor’s strap is soft, stretchy and doesn’t move around even once you’ve worked up a sweat. 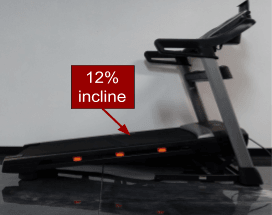 Cushioning - An innovation we’ve really enjoyed from NordicTrack is their treadmills’ cushioning selection that comes with most of their treadmills now. The C990 has Flexselect™ cushioning, which allows you to adjust how flexible you want your treadmill deck to be. The 6 orange shocks (3 on each side) under the treadmill deck only need one half turn before you can change the deck to firm and roadlike. Then a half turn in the opposite direction takes you back to a more cushioned and flexible deck. The cushioning is also better than the Adventure 3 and F63 which are in the same price range as the C990. The Adventure 3 and F63 have significantly stiffer decks, which could be a bonus if you want a more road-like surface. If your joints are sensitive, you may want to spend a little more to protect your overall joint health and purchase a treadmill in the $1,500 price range. Perched above the console is an adjustable tablet holder. If you want to watch a show but also track your workout on the console screen, just pop your tablet into the holder and you are ready to workout. If you want to listen to your specific playlist or podcasts, there is a mp3 port to connect your device to the console and pipe the sound through the console speakers. If the console trays are taken up with your phone and water bottle, don’t worry, you get a spare tray. Recessed so that you can’t smack your knees while running, this extra accessories tray can hold whatever you don’t have room for in the console cupholders. 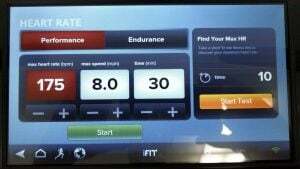 All of NordicTrack’s treadmills that have touchscreens come with the option to enable iFit. 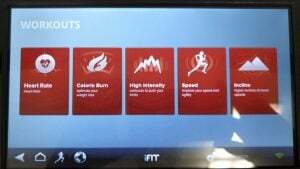 Using the iFit program requires a subscription, but foregoing the subscription doesn’t impair usability of the treadmill. iFit offers a free version of their program if you’re interesting in giving it a try. We feel it’s a really great program for weight loss and goal tracking and it adds value to NordicTrack’s products. Belt - 2-ply belt with raised texture to prevent slipping. Return Policy - 30-day return policy, with the option for a full refund or replacement machine. There is a 10% restocking fee unless you received a defective product. Overall, the C990 is a well-built treadmill with a lot to offer its users. The treadmill deck can take a pounding and feels firm and stable underfoot. It doesn’t offer as much cushioning as higher-end NordicTrack models, but that isn’t always necessary for every runner. The arms are a little longer than the Sole F63, but still small and don’t have the speed and incline adjustment buttons on the arm like the F63. The machine as a whole might not be a good treadmill for someone much taller than 5’7” as one of our testers found the shorter arms and fan positioning difficult at her height of 5’7”. 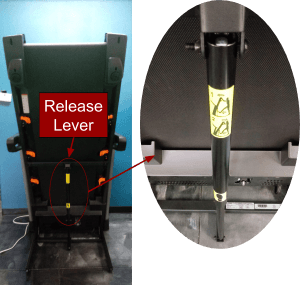 While we like the easy lift hydraulics system the C990 has, releasing the treadmill deck from the folded position can be a pain as it is located under the deck itself. It also has 4 wheels to make moving your treadmill less of a struggle; however, if you have your treadmill on concrete or other hard surfaces, this may cause it to roll away as you try to fold it up. This problem is easily solved by placing it on a mat. 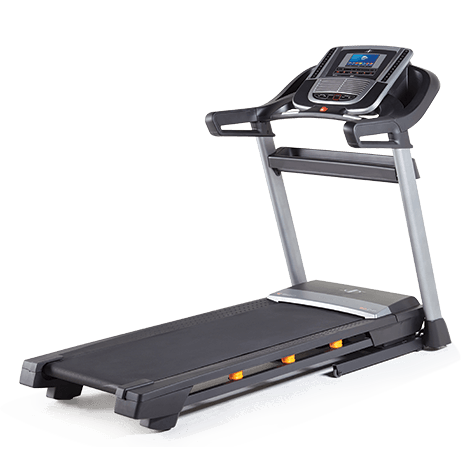 The C990 is an excellent treadmill from the NordicTrack line, with many of the features of their more expensive models. With its smaller motor, it’s best for walkers and joggers. 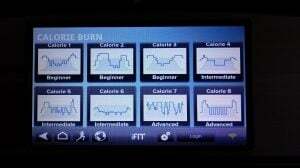 But from the 32 programs you can use to the cushioning adjustment, this treadmill can be tailored to many different needs.